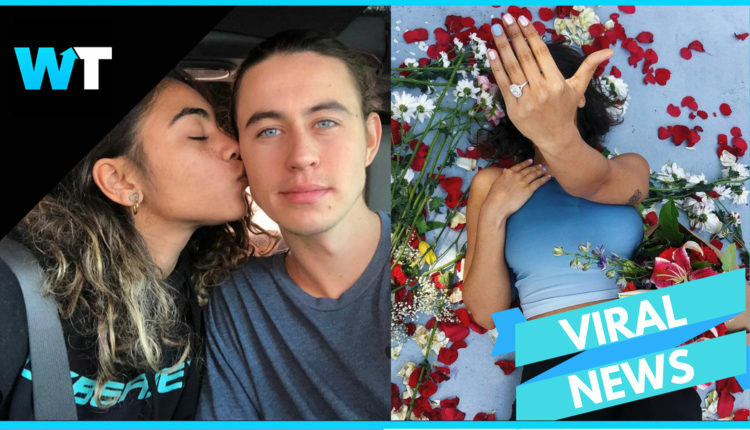 Nash Grier and Taylor Giavasis have been dating for over two years and have become popular Vglogging together on Nash’s youtube channel, where Nash has over 4 Million subscribers. Nash started out as a vine star and has three siblings, Will, Skylynn and Hayes. Nash and Taylor got together in 2015. Taylor’s mother is entrepreneur Nikki Giavasis. In a video titled “Meet My Girlfriend”, Taylor revealed she is studying to be a doula to help women through their pregnancies. Taylor also runs an Instagram account called The Naked Diaries where people share photos of their bodies accompanied by their personal stories. The couple has weathered engagement and even pregnancy rumors before…But this time, it’s REAL! But what do you think about this engagement? Let us know in the comments section.